A perfectly fitting belt with your pair of Kurt's. Find the Limited Legends collection on our website! 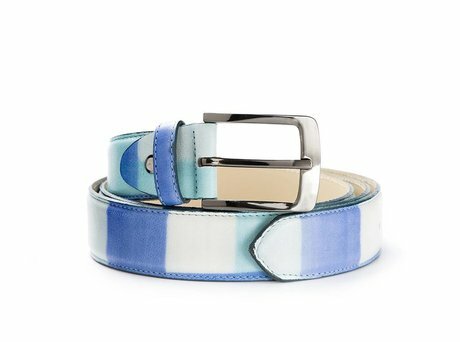 With such a striking men's shoe as the Kurt II Checker Cobalt you will need this matching belt. The belt is in the same color as the men's shoes so it matches perfectly with each other. Gives every outfit just a little bit more and finish it with this cool accessory! Ontvang direct een e-mail zodra de REHAB BELT KURT II CHECKER LL COBALT op voorraad is in jouw maat.